For applications looking to maximise visibility in the warehouse, Hyster® Reach Trucks can be specified with a glass roof in the overhead guard. 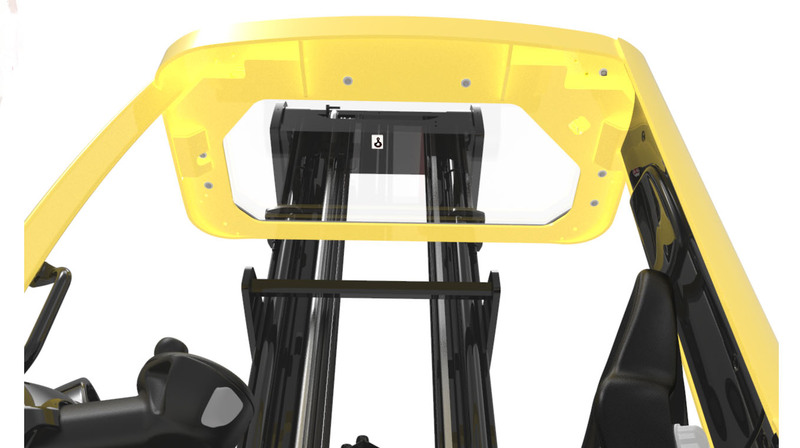 Although all Hyster® Reach Trucks are designed with good visibility through the standard overhead guard, the glass roof provides the operator with complete unobscured visibility through this area, ideal for when lifting to taller heights. This can help increase accuracy and efficiency, while allowing drivers to feel confident in handling loads at heights of up to 12.75m. It also allows more light to enter the operator compartment making the intelligently-designed cab feel more spacious. This feeling of added space helps to improve operator comfort without the need to specify a larger truck, and therefore helps to maintain a high level of manoeuvrability. The robust glass roof is constructed of different layers of specialised materials which are bonded together to create a strong, yet totally transparent, glass. To ensure the toughness and durability required for use in an overhead guard, the glass has been subjected to extensive testing. 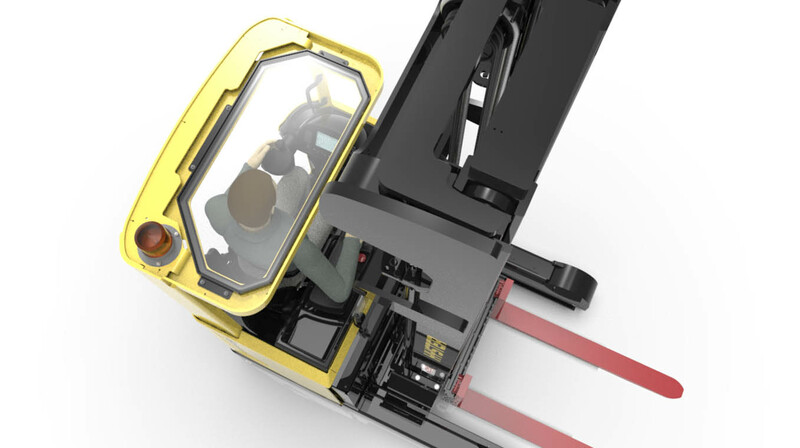 As many different operations may benefit from this feature, it is available as an option on any Hyster® Reach Truck, including those with a cold store cab. 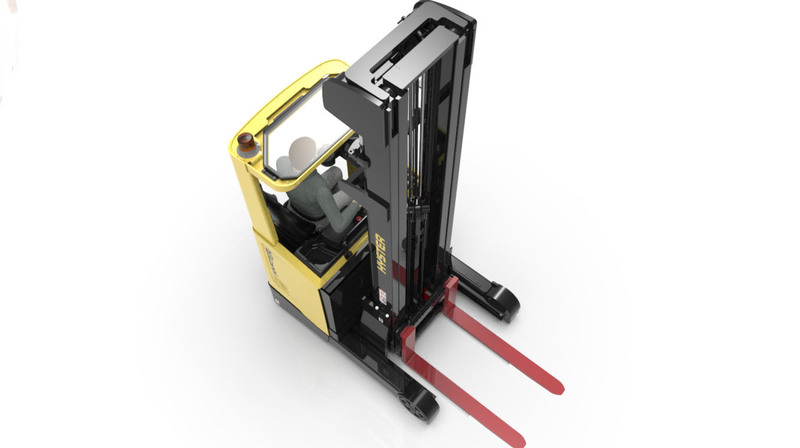 Widely used in the Food and Drink industries operators can work comfortably in the Reach Truck in temperatures to -30° C.
The Hyster® Reach Truck range includes seven models with load capacities from 1.4 to 2.5 tonnes, a selection of four chassis lengths, and a choice of 5 mast lift heights from 4.65m to 12.75m. Both Standard and Heavy-Duty Reach Truck options are available to cater to the needs of different industries and warehouse applications. 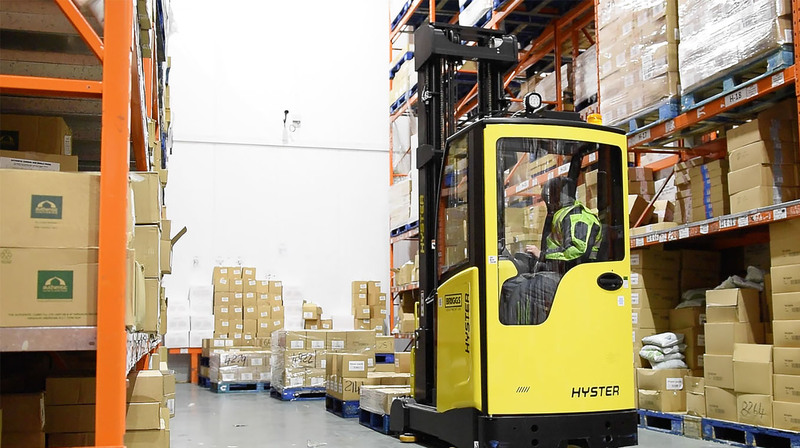 For more information about selecting the right Hyster® Reach Truck for your operation, speak to your local Hyster® distribution partner or visit www.hyster.eu. This entry was posted in 360-degree benefits, Cross-Docking, Electric, Electrics, Food Sector, Hyster, Hyster Europe, Intensive Applications, Pharmaceutical, ReachTruck, Retail Sector, Solution, Toughened Security Glass, Warehousing and tagged Cold Temperatures, Glass Roof, Hyster, Hyster Europe, Reach Truck, Warehousing. Bookmark the permalink.